Coaching The best thing you can do in a difficult case is refer your friend or family member to a professional who can provide coaching on alcohol abuse. If you are concerned that someone close to you might have a problem with alcohol, your instinct reaction is probably that you wish you could get him or her to stop drinking. However, doing so is not easy, and it’s a path on which you have to be careful how you tread. It’s certainly something you’ll want to think about before approaching. After all, you really don’t want to open an unnecessary can of worms. Getting someone to get sober and stop drinking alcohol is hard because alcoholics become emotionally attached to the substance. Those who abuse alcohol drink because they are dependent on the substance. Given this alone, the most important thing you can do to help someone who is drinking too much is to have open communication. Perhaps the best first step to take is to schedule time to meet with the friend or family member you are concerned about. It’s very important that this is a private meeting and that it takes place somewhere you are both comfortable. It’s very important that the person is sober when this conversation takes place. Tell him or her you have something serious you’d like to discuss and take it from there. Once you two are alone, you can ask the pertinent questions. You can approach the conversation in different ways, but what is most important is that you get to the problems that are at the root of your friend or family member’s alcohol abuse. Alcohol itself is not usually the real problem. People most often drink alcohol because there are other things going on in their life that they want to forget about, that they want to escape. Keeping this in mind, addressing the issue is often the hardest part of trying to get someone to stop drinking. It’s likely he or she won’t want to talk about the issue, and it’s also likely this person is in denial that he or she even has an alcohol problem. However, when you do get through, it’s important that you ask your loved one about his or her drinking routine. This is pertinent information that will give you inside into why exactly he or she drinks—what causes him or her to pick up a bottle and how long those sorts of incidents last (this is likely to be based on the extremity of the incident). In addition, it’s just as important that you are observant of your loved one’s actions surrounding alcohol when you go out together. If you think you or your loved one has an issue with alcohol, call our helpline today at 1-888-716-9806 and learn more about choosing the right rehab options for this particular addiction. Once you have a better understanding of what your friend or family member is going through, you will have a better idea of why he or she reacts to alcohol the way he or she does, and you’ll also feel more confident about confiding in another mutual friend or relative about the situation at hand. Getting someone to stop drinking alcohol takes more than a singular effort. Alcohol can seriously affect relationships between friends and family members, so it’s important to speak to others who are also close to your loved one to determine how they see the situation. Gaining alternative perspectives on what might be a serious issue is a good indicator of whether there is a problem. If these people show their support and bring up the topic of a potential alcohol problem with your loved one, there is more of a chance that he or she will realize that it’s time to seek help or addiction treatment. Referring your loved one to an alcohol or drug rehab program is a hard but necessary step to take if you and your mutual friends have come together and determined there is indeed a problem. Talking to your friend or family member about his or her alcohol use can be very difficult, as established, so it’s important not to aggravate the problem or insist that he or she stop drinking altogether. The last thing you want to do is to be a nag. 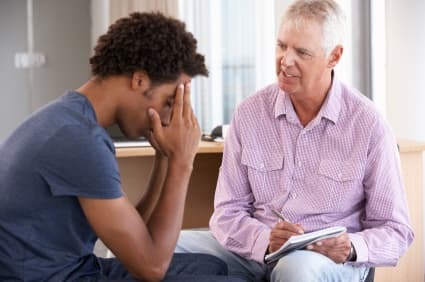 Perhaps the best thing you can do in a difficult case is refer your friend or family member to a professional who can provide coaching or addiction therapy on alcohol abuse. A community health center is a great place to start, as it will provide you with many local resources you can use to get started. Remember, even in the most difficult of situations, the most important thing of all is that your loved one knows you are there for him or her and that you are only trying to help.